Avocados are incredibly nutritious, not to mention delicious and they are my favorite! 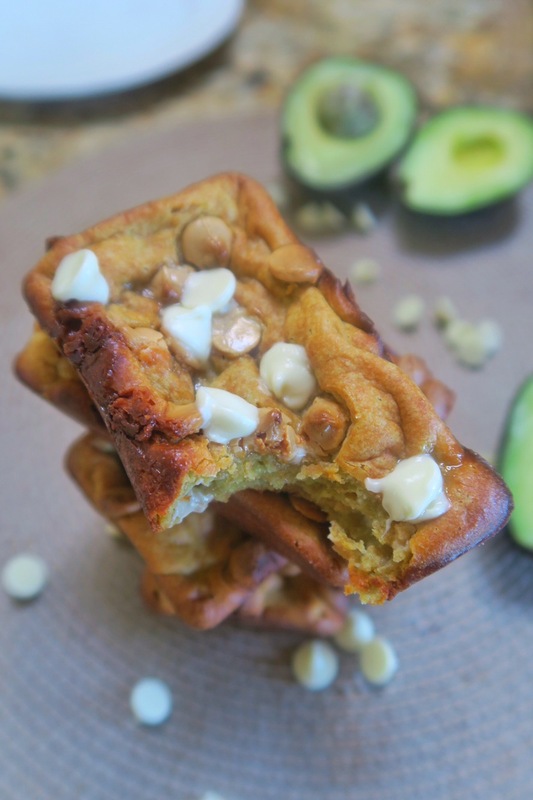 I eat at least half to one avocado a day (in salads, with grilled veggies or a protein) and often incorporate them into recipes especially when they are super ripe! 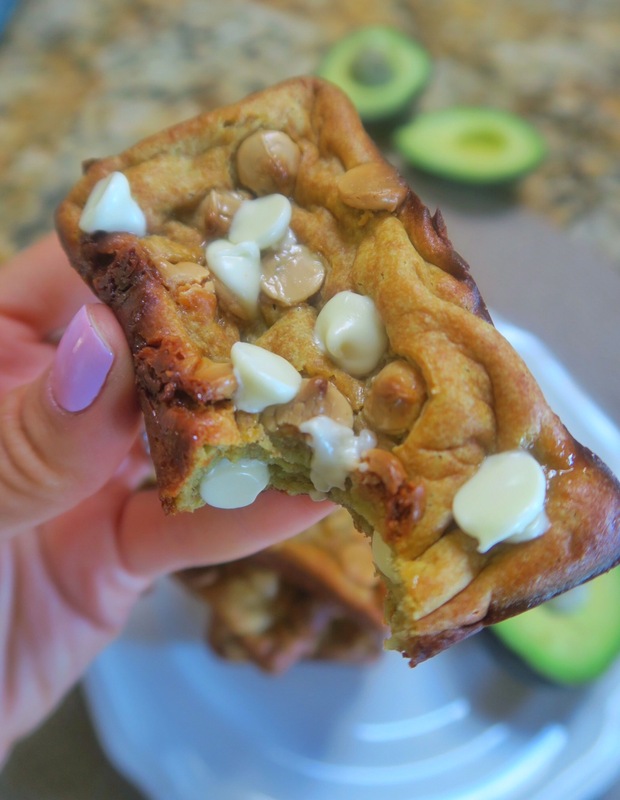 I made avocado brownies that were SO good, so naturally I decided to attempt blondies, which were even BETTER! See the recipe below and have your mind blown! In a bowl, combine avocado, condensed milk, Greek yogurt and vanilla extract. Blend with hand blender until batter is homogeneous. You can also add ingredients to a blender or food processor. To wet ingredients, whisk in flour, milk powder, sea salt, baking powder and baking soda until combined. Fold in chocolate chips (or yogurt chips) and pour mixture into the greased baking dish. Sprinkle with more chocolate chips on top if desired. Bake for about 30-35 minutes or until golden brown. 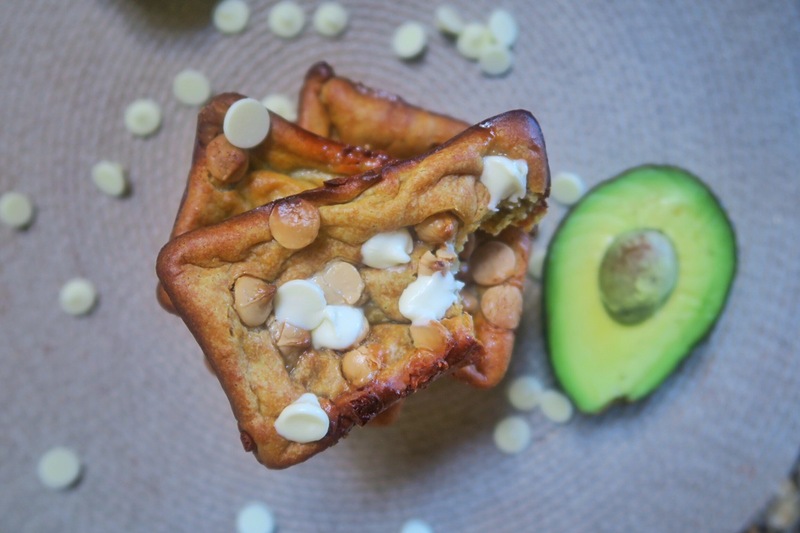 This entry was posted in Brunch It On Sundays, Brunch it on Sundays, Cakes and Breads, Sweet Stuff, Uncategorized and tagged avocado blondie, avocado blondies, white chocolate blondies.